The Horizon 2-in-1 is reminiscent of a seaside view as its reactive glaze fades from blue to white. 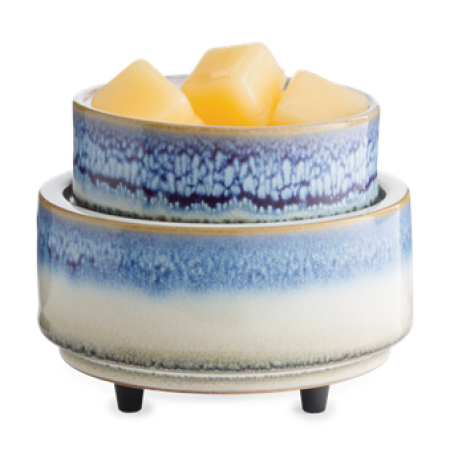 2-in-1 Classic Fragrance Warmers feature a versatile design that allows you to warm wax melts in the dish, or place a jar candle directly on the warming plate. 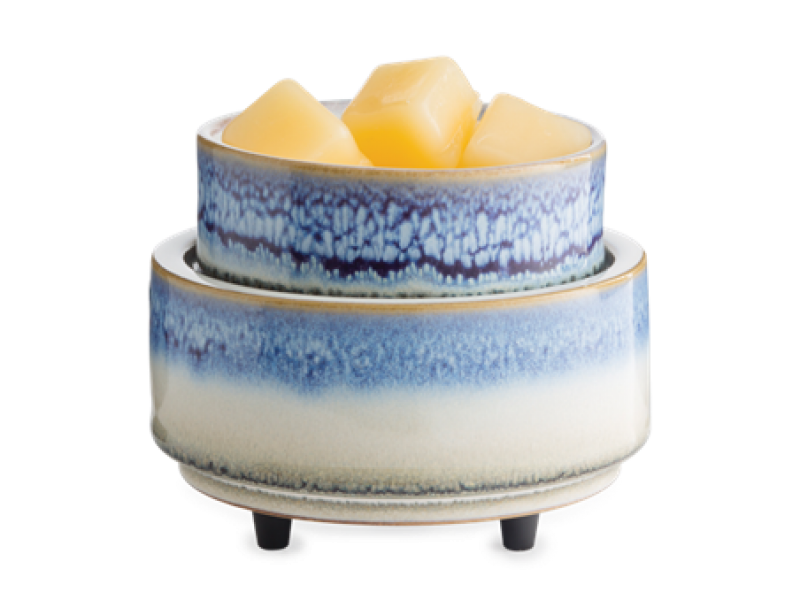 Candle and wax warmers allow you to enjoy the fragrance of a lit candle, without flame, soot, or other pollutants. Elegant home décor is the focus of every Candle Warmers Etc. product, and each is made to complement your personal taste. Simply place your favorite candle on the warming plate, or add wax melts to the dish, turn it on, and enjoy your favorite fragrance as it spreads through the room.